How does your garden grow? Do you grow the same old plants every year? Or do you like to change it up? Do you grow the same things as your neighbors? Or do you keep them guessing? I definitely have my old stand-by’s that I like to grow every year, rarely do I replicate a planter combo from a previous year (except I did do one this year!! – You can see last year’s on a previous post “Who were your top performers” from September 2013 – Manihot esculenta ‘Variegata’, Stained Glass Works Coleus Burgundy Wedding Train, Purslane Rio Scarlet) – I usually like to try new combos and throw some different plants in the mix. I also love creating combos that also include a few plants that you just don’t see everyday – and of course I have my favorites in this category too, but this year I’ve really been trying some new things that I’m wasn’t familiar with until recently. Another favorite of mine that I grow every year is Manihot esculenta ‘Variegata’, otherwise known as Tapioca. Yes, I said Tapioca, as in the pudding! Native to Brazil, this is another one with great foliage interest and can get very tall. Just remember when using it in your containers or landscape that even though it can look small and compact in spring, it’s gonna grow up–and you’ll definitely be impressed. 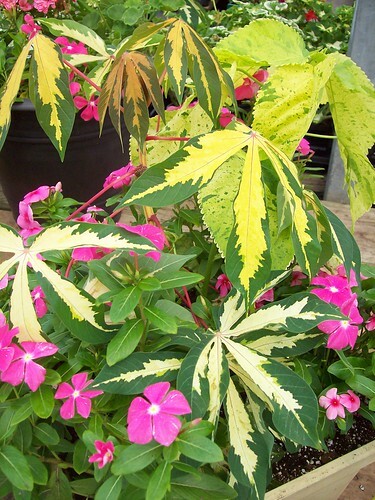 Flowering Vinca and Acalypha Tiki ‘Tropical Tempest’. Iresine ‘Blazin Rose’ is a bold “thriller” to any container garden. 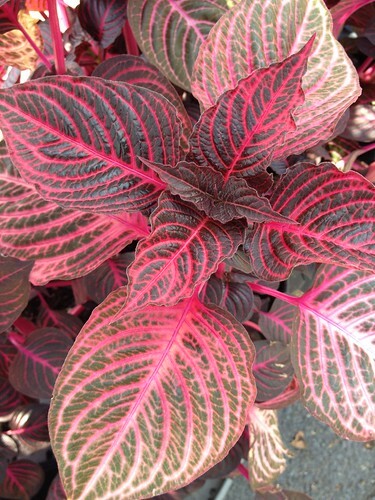 Can take full sun to partial shade – it’s a show-stopper all season long. 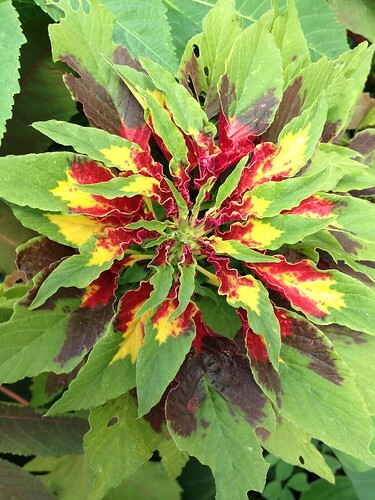 Amaranthus tricolor ‘perfecta’, the ultimate hippie plant with that colorful tie-dye foliage! This one also gets pretty tall and likes full sun. I potted this one in a mixed container at the garden center and will share a pic on Instagram and Facebook later this week. Check in to see what I paired it with! 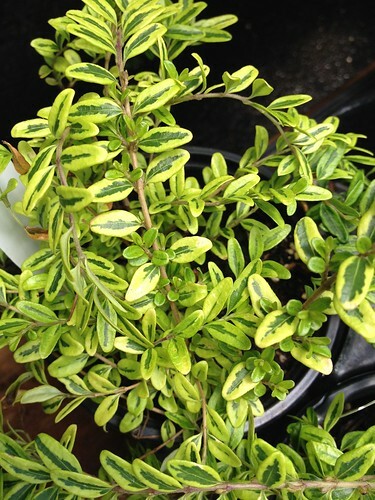 Lonicera nitida ‘Variegated Honeysuckle’. This one is new to me this year and so far I’m loving it more than I ever thought I would! This plant is perfect for your shade garden (but can take partial sun too) either as a mounding border or in your container as a semi-trailer. 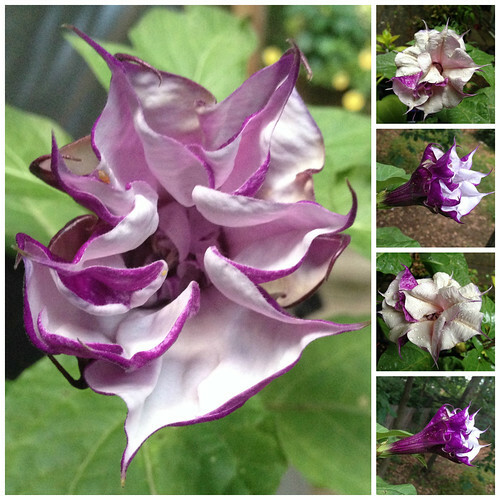 Datura meteloides ‘Ballerina Purple’. I’m absolutely so in love with this double purple bloom. It’s fancy and frilly…and oh yeah, fragrant too!!! 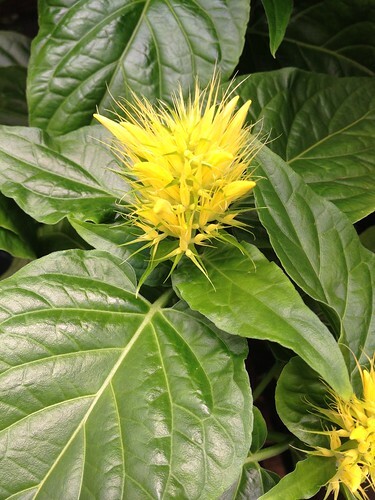 Jacobinia – Justicia schavernia ‘Fuzzy Navel’. Check out this showy flower that I know your neighbors won’t have. I love this soft yellow flower – great for attracting hummingbirds!! Cassia alata and Cassia didymobotrya, a.k.a Popcorn Cassia. Where do I begin with these guys? Cassia alata I grow every year. 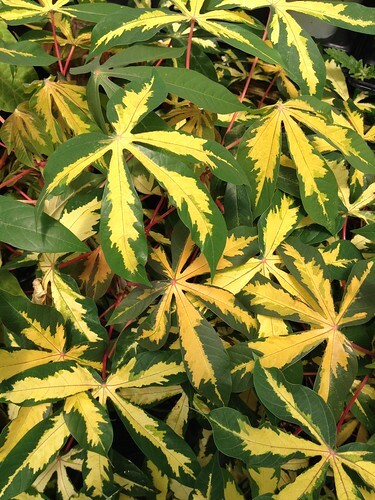 It’s a great tropical foliage plant that looks superb in mixed containers. 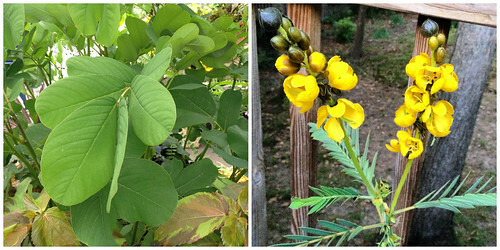 This is my first year with the Popcorn Cassia – so cool! This one does bloom and when you rub the foliage it smells JUST like buttered popcorn!!! In the evening the leaves close up on both varieties and then reopen in the sunshine the next day. 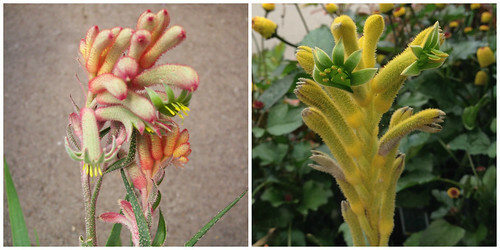 Anigozanthos kanga Pink and Yellow. You may have seen these before but they’re super cool nonetheless. They come in a few different colors so there’s something for everyone! This plant makes a great addition to any full sun container and also do well in the landscape in well drained soil. Also works as a great cut flower as well. These are just a handful of the wild and wonderful things I’m growing this year. What new and unusual plants are you growing?